Renowned Psychic for 25 years, t.v. and radio, that worked on top psychic lines, read 1000's people from all walks of life, and countries including celebrities, doctors, lawyers, psychologists as well as corporations!I'm from a descendant of a long line of Russian Psychics. 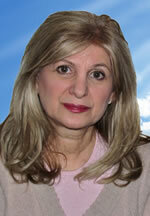 She has helped authorities find missing children a professional master of tarot, chancellor, healer, medium. Career as a Clairvoyant who did tea readings(tasseography) also gifted with the ability to connect to energy through your vibrations, and Saint Dominique as my guide. Viewing the readings as a therapy-like experience, you get real answers to your questions and helps you develop direction on the path to achieving your deepest desires. Can see deep into the situations going on, spiritually and psychically, offering an in depth reading and analysis of your situation, or area of concern, together will attempt too resolve it, a realistic prognosis to covering all questions whether it's for love, finance, or career. it a self help book, etc. or give the client all the tools necessary for their own discovery of possible solutions. Born psychic, worked on top lines for 25 years, studies in religions and metaphysics 25 years, self mastery courses, and spiritualism! Kydra Sommer is available ... and ready to take your call!